Mystery beans on MasterChef Canada | TV, eh? Here we go again! New season, new shocking challenges. Last night, the Top 12 found out what secret was hidden under the box in the newest episode, “How Do You Take Your Mystery Box?” And you won’t believe what they had to cook with. In the first episode, the 21 home cooks battled for a spot in the Top 12, by bringing one signature ingredient which helped the judges to choose the Top 12. Tonight they had to make an exceptional dish infused with coffee beans. Like, how is this even possible? The chefs were assigned to cook a sweet or savoury dish with the secret ingredient. The absolute star of this challenge was Kaegan, with his coffee-crusted steak and coffee celeriac purée. But what surprised me most was Beccy’s cool head. She didn’t use a recipe for the eclairs with coffee and dark chocolate and made it to the top three of the challenge. The winner was chosen. Keagan received two huge advantages: he was safe from elimination and he handed out the wallets for the Elimination Challenge. There were two kinds of wallets, luxury (you need to spend at least $50 on groceries) and budget (no more than $10 dollars on groceries). It was a good way to show that you can make a dish worth $1 million when it cost only $10 and screwed up the $50 ingredients. Jonathan’s pan-seared cod and Michael V.’s elevated version of seafood paella amused the judges the most, which gave them the right to be team captains in the next challenge. Beccy and Melissa were in the bottom. Melissa was eliminated from the show. What is your idea for a coffee-infused dish? Let me know in the comments below! 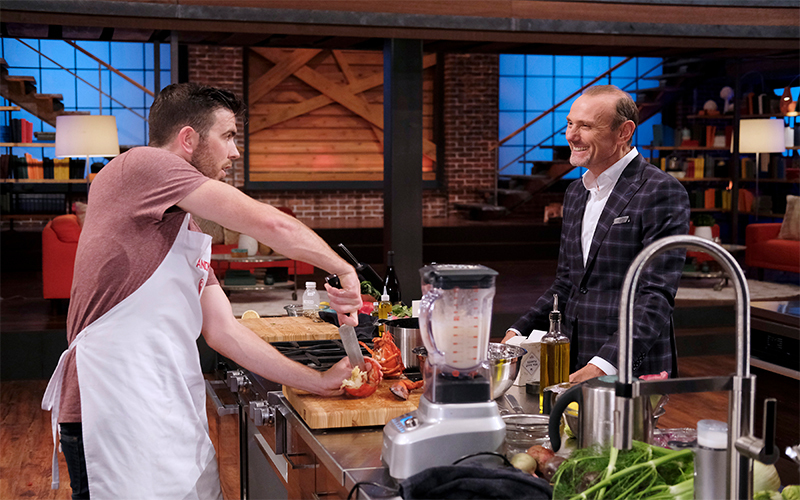 MasterChef Canada airs Tuesdays at 9 p.m. ET on CTV.